I lead, curate or collaborates on a number of workshops and big events at various times throughout the year, all of which are intended to help us explore our own spontaneity and creativity at deeper levels. Below you can find out what’s planned and click to find out more. The best way to keep up to date with events is to subscribe to the quarterly “Creative Adventures” newsletter. If you would like a private or in-house corporate workshop then drop me a note. A life-giving day of singing, improvising and making each other look good with the incredible Heather and Joe. More details here. 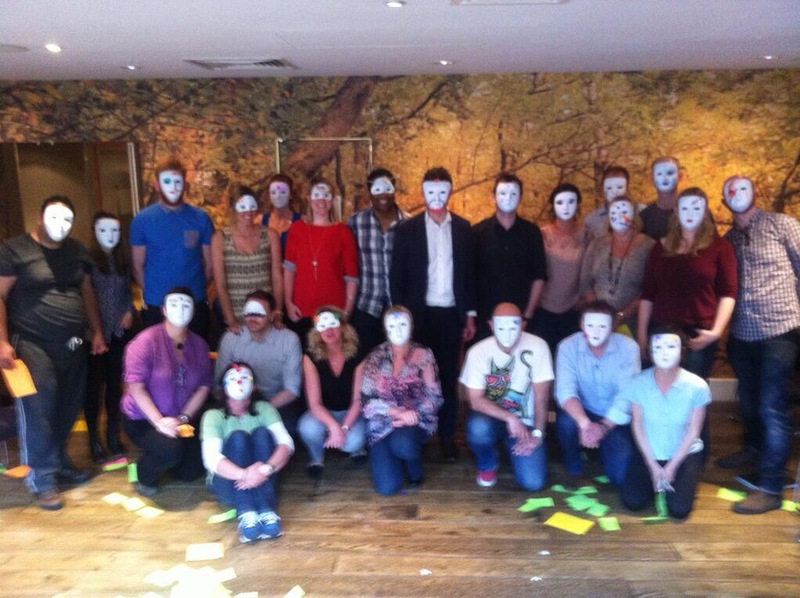 A day of exploring our personality through masks in a profound yet playful way. One of the highlights and most popular workshops on the CSS Calendar. More details here. Since 2015 the Lab has been a not-for-profit place to be playful with not knowing. A safe-haven for failing happy. A place to try out something you’ve never done before to see what would happen. Experiment and be experimented on. More details here. Steve Chapman and Simon Cavicchia lead a two day creative immersion to help us get to know and better understand our inner critic. Using creative techniques, movement, improvisation, art, masks, mindfulness and other novel methods to deepen our awareness of this inhibiting character. More details here.